Most Tort Talkers receive their Tort Talk info by way of email. If you have ever had the situation where you thought "I know I've seen a recent case on Tort Talk on this issue," this blog post is for you. 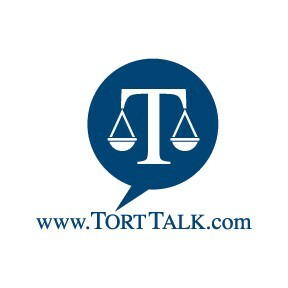 Tort Talk is not only a way to get updates on new cases and trends, it can also serve a a kickstart to your research if you actually go to the Tort Talk site at www.torttalk.com. On the site itself there are a number of research tools (http://www.torttalk.com/) to help you find the case or cases or article you are looking for. The Search This Blog Box in the upper right hand column of the site allows readers to type in search terms or key words to look for posts on that particular topic. 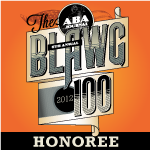 By typing in your search term in the white box (delay damages, limited tort, slip and fall, or a case name, etc. ), you will be sent to a page that will list each Tort Talk post that covers that topic. You can then click on each post that comes up to read further. You can always access the Post-Koken Scorecard to check on the status of decisions in your county on Post-Koken issues by looking and scrolling down the far right hand column of the blog and clicking on the date under the Label "Post-Koken Scorecard." You can always access the Facebook Discovery Scorecard to check on the status of Pennsylvania decisions on Facebook Discovery issues by looking and scrolling down the far right hand column of the blog and clicking on the date under the Label "Facebook Discovery Scorecard." Also down on the right hand column of the blog is a section called "Labels," which is another tool that you can use to find cases or articles on a specific topic. By clicking on the Label that's specific to your research ("Bad Faith," "Limited Tort," etc.) you will be sent to a page that list each and every Tort Talk post that touches upon that topic. You can then click on each title to read further. Down in the middle of the right hand column of the blog is also a box under the Label "My Published Articles" in which are listed some of the most recently published articles of mine that have been posted online at the www.JDSupra.com website. If you are looking for older articles you can always click on the JDSupra box to go to that site where a full listing of the articles can be accessed and searched. I note that the Pennsylvania Law Weekly does not allow me to post my articles on the JDSupra site is it is a competitor. However, I am permitted to post my Law Weekly articles on Tort Talk which I have done since I started the blog. You can find those articles by typing in key words or terms into the Search this Blog box. Please also feel free to email me directly for a copy of any of my articles that you may be looking for(dancummins@comcast.net). Last but certainly not least, down on the right hand column is a list of "Links" I have created to other sites, including my Firm's website and other online professional profiles that I have created along with links to some other legal and non-legal-related websites that may be of interest. Thanks again for reading Tort Talk and thanks to all who have provided tips on breaking news and cases of note. I am grateful for your interest and support. 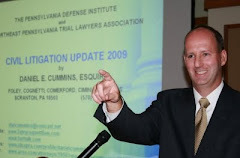 If I should be able to provide you with any assistance on any matters you may have in the Northeastern Pennsylvania region where I practice, or if I can possibly help out in any other way, please do not hesitate to contact me at dancummins@comcast.net.